Joe Bausch, creator of The Bausch Collection of golf course photo galleries, is a chemistry professor at Villanova University. In my research on the early origins of the City of Philadelphia’s first municipal golf course, Cobb’s Creek, I learned that prominent golf course architect A. W. Tillinghast ("Tilly") played a role in getting the City to recognize the importance of having a public golf course for the increasingly popular game. Most golfers know of Tillinghast for having designed many wonderful golf courses, perhaps the best known being both courses at Winged Foot. 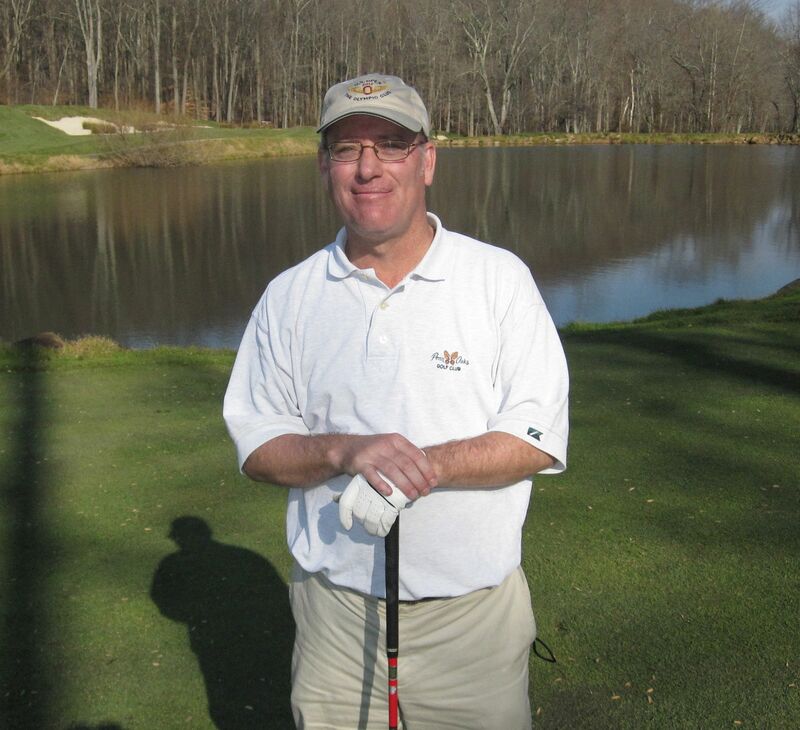 Locally, he is known for the Wissahickon course at the Philadelphia Cricket Club, a Tillinghast gem that will reopen May 22 after a major restoration project. What many people do not know is the Tilly grew up in Philadelphia and was also a prolific writer on the sport. Not only did he write for many national golf publications, he also wrote regularly for two local newspapers, the first being the now-defunct Public Ledger. In 1911, Tillinghast published a major article most Sundays in the Ledger, a paper with a huge circulation back in the days when newspapers were the primary source of news and information. I came across Tillinghast’s writings in the microfilm collection at Villanova University, while I was researching the history of Cobb’s Creek Golf Course. Once I realized how rich the Public Ledger was with early Philadelphia golf information, I began scanning and organizing almost every article I encountered. I discovered there is a Tillinghast Association, which led me to friends with Phil Young, a writer with a keen interest in Tilly. Phil mentioned that Tilly later wrote for another Philadelphia paper, the now-defunct Philadelphia Record. "The Record", as it was known, was a prominent and widely read paper in that era. Villanova’s library does not have the Record on microfilm, nor has any commercial service yet digitized it. I then learned that the best place in the area for newspapers on microfilm is the Central Library of the Free Library of Philadelphia. It was there that I spent more than a few Saturdays and Sundays searching not only the Philadelphia Record, but also many other early newspapers. Tillinghast stopped writing for the Public Ledger in November 1911, and soon began penning his weekly columns for the Philadelphia Record. His first article for The Record was on Jan. 14, 1912. He wrote for the paper for almost exactly seven years; his final column was published on Jan. 12, 1919. For beautifully written, weekly articles documenting much of the happenings in the really great years of early Philadelphia golf, all you need to do is read Tilly. I’ve gathered up and digitized every single one of them. For example, to learn about the early origins of the Pine Valley Golf Club, generally regarded as one of the very best golf courses in the world, just browse through Tilly’s articles. One of the most informative pieces was published on April 4, 1915. If you want to learn more about the development of the East course at Merion, read what Tilly was writing at the time. For instance, see the last three paragraphs of his article in the Public Ledger on April 30, 1911. Tillinghast was also a close friend of Johnny McDermott, a local kid who won two consecutive U.S, Opens (1911 and 1912) and is still the youngest U.S. Open winner in history. In many different articles Tilly writes about McDermott, including one right after his first U.S. Open victory, published on July 2, 1911, in the Public Ledger. If you are interested in early golf history in our area, and quite frankly in our country, you’ll want to browse through them all. They are that good. I hope I’ve sparked your interest in the rich golf history captured in these pages. I think many would like to hear the "back story" on how I came to be interested in Cobb’s Creek, Tillinghast, and early Philadelphia golf history. In 2007 I joined the website called GolfClubAtlas (GCA), a place where people come to learn and discuss every facet of golf course architecture. Many residents of the Delaware Valley belong to GCA and I soon became friends with a number of them. I have lived in the Philadelphia area since 1991, moving here from Los Angeles after spending my formative years in the Midwest. I golfed regularly in Evansville, Ind., but my time in Los Angeles in the late 80’s did not allow for much time on the course. Once I arrived in Philly I started playing again regularly. Since I lived in West Philly I, of course, found my way to Cobb’s Creek. It was a much better golf course than those I grew up playing in Indiana, although the conditioning left something to be desired. But it was close, cheap, and fun – a real diamond in the rough. From the first time I played Cobb’s I could sense some of the holes weren’t quite right. The stories going around were that several of the holes were changed many years ago, when the City allowed part of one hole to be used for an anti-aircraft base during the height of the Cold War. It all sounded so intriguing. What was fact? What was fiction? A now-close friend of mine that I met via GCA, Mike Cirba, ordered some aerial photographs from the Dallin Collection at the Hagley Museum in Delaware. Starting in the early 1920’s, Victor Dallin took aerial photos from an airplane of things he found of interesting, including many golf courses. It just happened that he took a handful of photos of the course at Cobb’s Creek in the late 20’s. Examination of these aerials showed that many of the holes then were the same as they are now, but some had changed dramatically. None of the green sites had changed, but some holes now played from a much different direction. But what was the original course like when it opened on Memorial Day in 1916? When did these "corridor changes" to some of the holes take place? I was very curious about this so I decided to consult the librarians at Villanova University, where I am a professor of chemistry. I told them I wanted to learn what I could about the origins of Cobb’s Creek, knowing that it opened in May 1916. They led me to a storage room where the library keeps the early years of the Philadelphia Inquirer and the Public Ledger on microfilm. I saw shelf after shelf of microfilm reels. Little did I know what I was getting into. Our librarian also mentioned that Villanova had recently subscribed to a site with digitized newspapers pre-1923 called "America’s Historical Newspapers"- which includes earlier years of the Philadelphia Inquirer. Lucky me, and lucky for all those interested in Cobb’s Creek Golf Course. After just a few nights of research I was able to plumb the early origins of Cobb’s Creek. Yes, Hugh Wilson was involved in the design, and so were many other prominent people. For many months I continued to research Cobb’s early history, and my collaborator Mike Cirba, had began to compile a narrative. The end result is a book written by Mike called "Cobb’s Creek Golf Course. Uncovering A Treasure". Mike and I are part of the Friends of Cobb’s Creek Golf Course, a group whose goal is to restore the course to its former glory. If you haven’t visited the blog I keep concerning this project, I urge you to learn more about it. Joe-Thanks for unearthing more great information relating to Golden Age Golf Architecture and more specifically to A W Tillinghast and his writings. The links you provided contain some fascinating insights from one of the great pioneers of golf course design but more importantly showcase his talents as a writer and observer. What really becomes evident is how frequently these gentleman of The Golden Age collaborated on designs and shared ideas which certainly isn’t the norm today. Great stuff. Joe a nice story and great research. Tillinghasts writings are prodigious and underappreciated in terms of what they are contributing to our historical knowledge of the game. Think of this, he contributed at various times to the following: American Golfer Canadian Golfer Golf Illustrated The Golf Course American Cricketer Greenkeeper Magazine This doesn’t include what he wrote for the Philadelphia papers. His photographs were widely used as well and are a forgotten part of his legacy as well. Often lost at Pine Valley is the framed photo of Crump at PV that reads donated by AW Tillinghast. Thanks again for your contributions and research. Mike, There are plenty of mentions of the need for a public golf course by Tilly even in the earliest articles I posted. I can’t help but wonder why AWT didn’t serve as an advisor in some capacity for the Cobb’s project. Or maybe he did and just never felt the need to mention it. Joe Great stuff here. Thanks for all the work. Eye opening stuff. Thanks for the kind words Phil. Joe, Wonderful article and, more importantly, a terrific set of links to the articles. There are a rather surprisingly large number of golf architecture "geeks" who want to be able to understand the "whys" of the architect behind the "whats" of the courses built by the great architects past, present and future. Having access to articles such as these will enable greater understanding and will always generate excitement within a club especially when the question of how to go about preserving the original architect’s intent for present and future players of the course. Its been my experience that the more is known by the average golfer and club member about the course they play builds an excitement within that membership and keeps the quality of what they enjoy and are inspired by fresh... This is a wonderful work that you put up here!